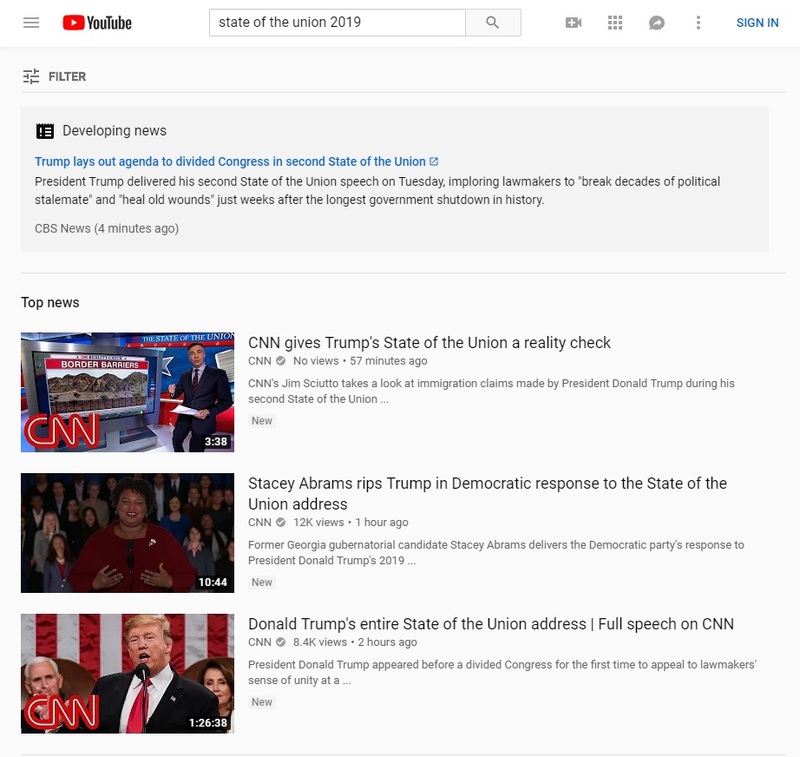 YouTube's top search result for "State of the Union 2019" on late Tuesday night/Wednesday morning was a "reality check" on President Trump's speech from CNN which said it has "no views." The "info box" at the very top featured an off-site link to CBS News. The second result, over Trump's speech, was Stacey Abrams' response from CNN's channel. The third response was Trump's speech from -- who else -- CNN! 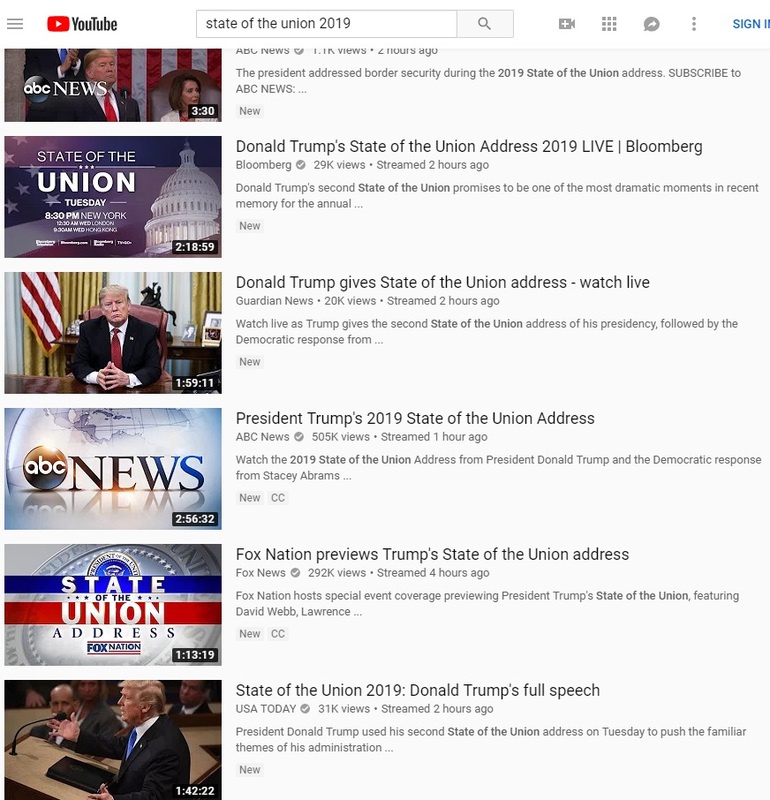 You had to scroll down to slot 13 and 14 to get the most popular streams from ABC News (505k views) and Fox News (292k views). Really top notch algorithms they've got!